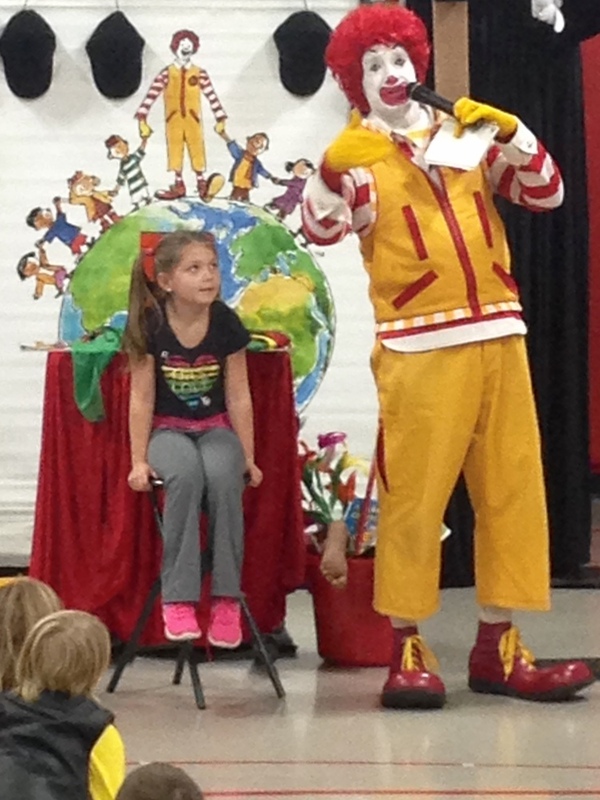 On November 30th the Strum Students were surprised by a visit from Ronald McDonald. He is on a Friend Adventure Around the World to spread the news of creating friendships and treating others nicely. Here he is with one of his new friends from Strum Primary School. The students were treated to songs, magic and a great message. Thanks for stopping at our school Ronald.